Minimalistically designed chair with wooden legs for enhanced durability. 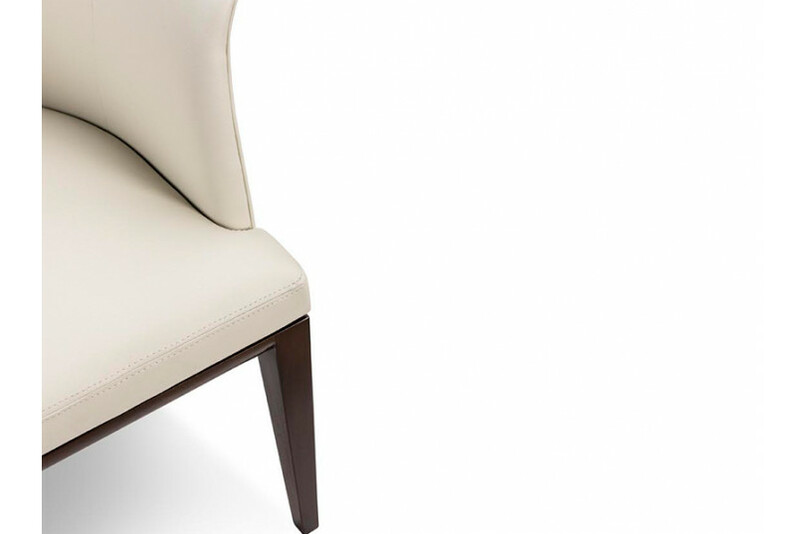 Georgia is a contemporary must have with padded leatherette upholstery on mahogany base. It is available in vibrant color options. Arched backrest culminating into a slightly curved armrest offers extra comfort and great posture. The dining chair gives your dining room a much needed update without a complete overhaul of your décor.